The Computer Science and Engineering Department at The Ohio State University seeks to fill one Assistant/Associate Professor of Practice clinical-track position starting in Autumn 2019. This is a full-time, non-tenure-track three-year contract faculty position which is renewable. Clinical-track faculty members in the Department will develop, enhance, and teach courses across the computer science curriculum, in particular those emphasizing professional computing practices and practical design and implementation projects such as junior project courses and capstone design courses. Clinical-track faculty will work on innovative projects, as part of independent studies with individual students, at the undergraduate and/or MS level. Clinical faculty may also collaborate on and/or lead research and development projects, including collaborations with industry, and large-scale research and development projects, as well as education-oriented projects. Appointment at or promotion to the associate or full professor level will require recognized leadership in one or more of these areas. Applicants must have a Ph.D. in Computer Science or closely related field, or equivalent professional experience. Review of completed applications will continue until the position is filled. Ohio State’s Department of Computer Science and Engineering has excelled in both research and education since 1968. The department has 45 tenured and tenure-track professors and 3 clinical-track professors. It provides a vibrant research environment, with annual research expenditures of over 10 million dollars, a Ph.D. program with nearly 200 students, and a thriving M.S. program. There are eight IEEE/ACM Fellows among the faculty. Traditional areas of research strength include artificial intelligence, computer systems, graphics, high-performance computing, networking, programming languages, software engineering, theory and algorithms, and visualization. These areas are complemented by recent growth in data analytics and cybersecurity. The faculty aspire to continue growing the department’s quality and reputation, while maintaining its high level of collegiality and its strong support for career development and entrepreneurial efforts. The department has extensive interdisciplinary collaborations at Ohio State, as well as joint appointments and faculty affiliations with several units including Electrical and Computer Engineering, Mathematics, Statistics, Linguistics, Law, Translational Data Analytics, Biomedical Informatics, OSU Medical Center, Center for Cognitive and Brain Sciences, Systems Engineering, and Civil Engineering. The department offers multiple undergraduate degree programs, with current enrollment of over 2,250 students, empowering them to pursue the education that meets their career goals. Students at all levels are encouraged to work on research in one of the many diverse areas of study. Graduates are in high demand and can be found working at some of the most innovative corporations and research laboratories, as well as continuing their research and teaching at leading academic institutions. The Ohio State University campus is located in Columbus, the capital city of Ohio. Columbus is the center of a rapidly growing and diverse metropolitan area with a population of over 1.5 million, slated to double in the next quarter-century. The area offers a wide range of affordable housing, many cultural and recreational opportunities, excellent schools, and a strong economy based on government as well as health care, finance, service, transportation, and technology industries. The city was ranked by Money magazine as “Best in the Midwest” to live in. Additional information about the Columbus area is available at visit.osu.edu/experience. 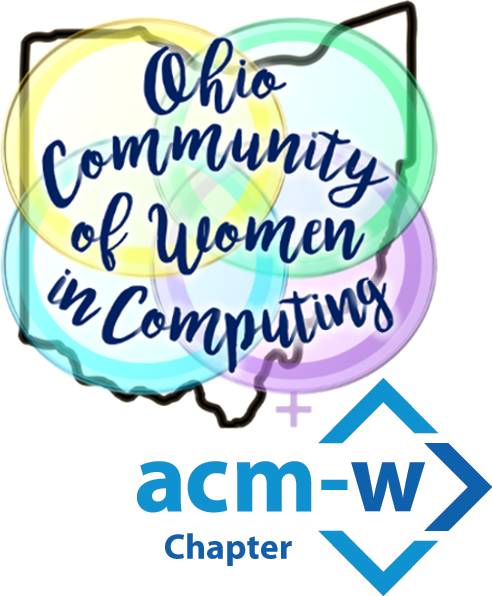 » “Unicorn” Computer Science Teacher Needed at the Columbus School for Girls! New Developments! Expanding the LinkedIn Group and Offerings! Maker Hour of Code – Be a Part of IT!